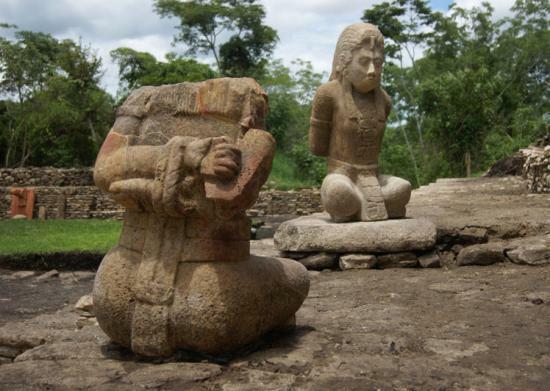 Two Prehispanic sculptures made out of limestone that represent war captives and a pair of tableaux that marked the Ballgame, were found by Mexican specialists of the National Institute of Anthropology and History (INAH) at Tonina Archaeological Zone, in Ocosingo Municipality, Chiapas. The discovery confirms the alliance between Lordships of Copan, in Honduras, and Palenque, in Mexico at the war that Palenque fought against Tonina for 26 years (688 to 714 AD) to control Usumacinta River. 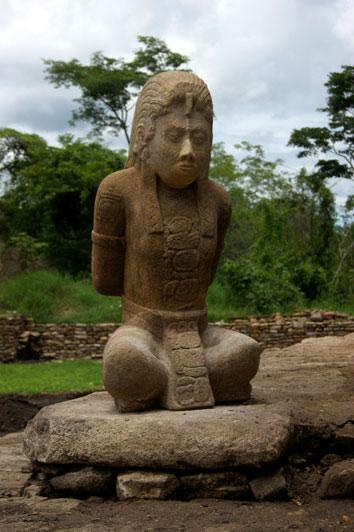 Sculptures of the prisoners of Copan and both tableaux, of an approximate age of 1300 years, were found buried in late May 2011, to the south of the Ballgame Court. 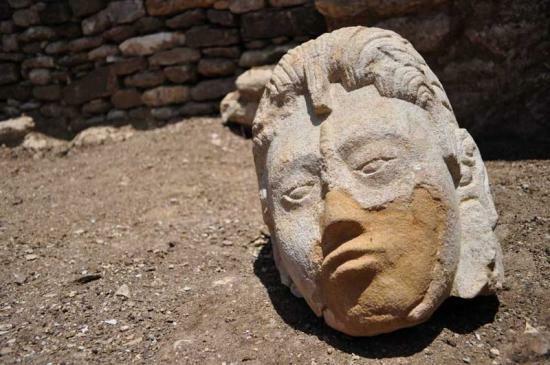 “All the pieces were found broken: the tableaux in more than 30 fragments, one sculpture in 20 pieces and the other was found complete but presents 3 fractures”, informed Dr. Juan Yadeun, responsible of the Archaeological Project at Tonina. 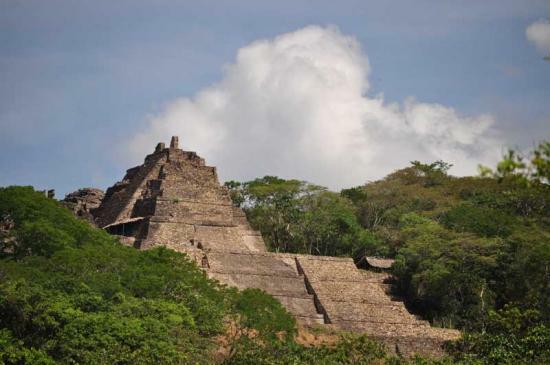 Findings offer information about battles fought by Tonina 1000 years ago, unlike elements found in the same site in the 1990’s, which due to the bad conservation conditions they presented, could not help to understand Maya Civilization. “Sculptures –which are 1.5 meters high- are representations of Maya warriors made prisoners by ancient inhabitants of Popo (today Tonina), placed in the 4 corners of the court while still alive. 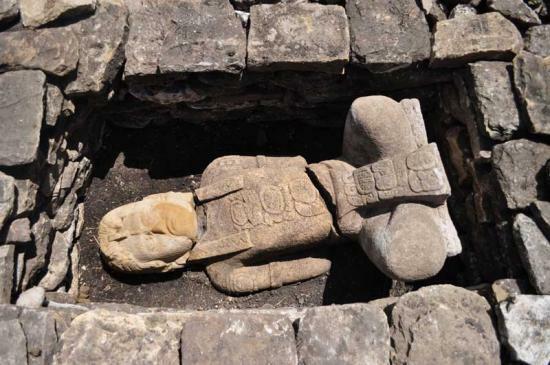 After that, their depiction was placed there permanently to remind that the ruler had won the war against Maya cities of Palenque and Copan, as revealed by inscriptions found during excavations of the Ballgame Court”, mentioned archaeologist Yadeun.